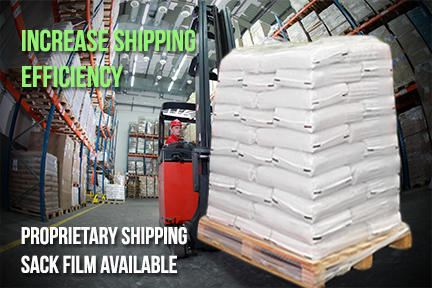 Heavy duty shipping sacks are sold on a roll and considered a type of SOE (slit on edge) film. They can be printed with high resolution graphics. Depending on the type of granular product being packaged, Layfield can adjust the film blend and thickness to either increase or reduce the strength of the packaging based your specific requirements.